Hydraulic-Sound of Ford 271HP 289 cam with hydraulic lifters and increased performance. 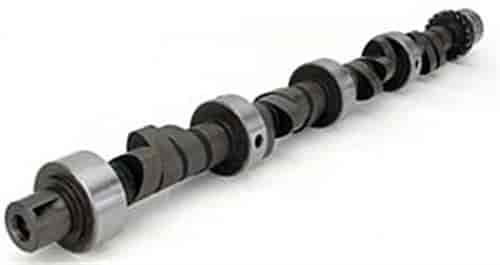 These famous factory camshafts of the past are combined with the latest advanced camshaft technology to give you the sound and excitement of the musclecar era. These Nostalgia Plus cams are specifically designed to capture the essence of the original '60s musclecar, with additional power that you can feel in the seat of your pants. The new technology creates awesome response to give new life to any hot rod. Does COMP Cams 31-670-4 fit your vehicle? COMP Cams 832-16 - High Energy Hydraulic Lifters Ford 240-300 6-cyl. COMP Cams 747-16 - 10° Super Lock Steel Retainers Valve Spring Diameter: 1.437" to 1.500"
COMP Cams 7631-16 - Magnum Pushrod Set Ford 221-302ci 1969-85 Non-Roller Non-H.O. COMP Cams 7631-1 - Magnum Pushrod Ford 221-302ci 1969-85 Non-Roller Non-H.O. COMP Cams 768-16 - 7° Steel Retainers Valve Spring Diameter: 1.437" to 1.500"